There’s a reason why pets should never be given as Christmas gifts. Two weeks later, Q-bert was no longer wanted. He was given away once, then once more until he came into the care of an experienced foster-guardian who has worked with PAW. 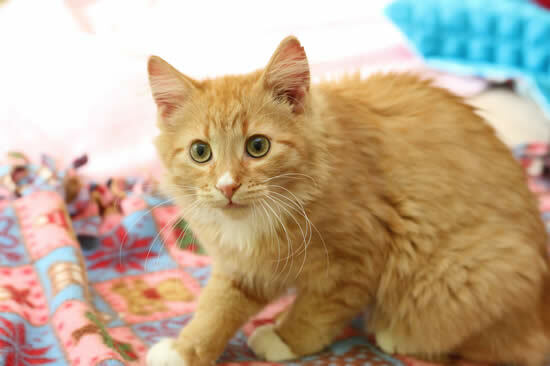 You’ll remember his unusual name, and we think you’ll remember this adorable kitten. This medium-haired orange and white boy knows his priorities: good company, play-time and food. 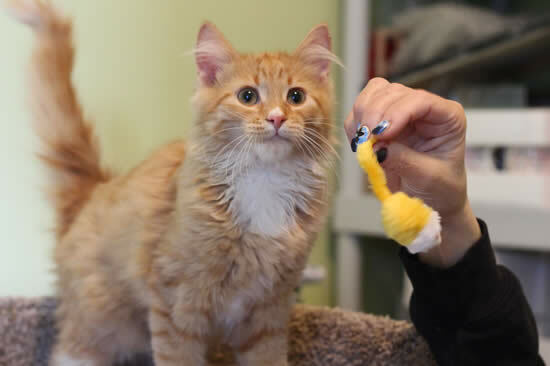 Although Q-bert is an out-going and adventurous little fellow, he still needs friends – human or feline, he’s excellent with either. He’ll want to spend a lot of time with you, especially on your lap, but if you are working with your computer, he’ll join you, and improve your spelling by using the keyboard himself. If you’re ready for fun and games, Q-bert is, too. Do you have a cat already? 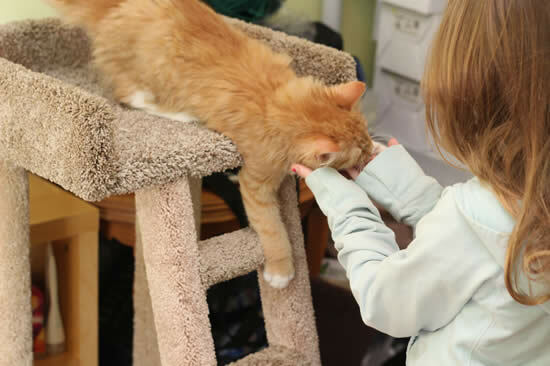 Q-bert is open to the idea of siblings; as long as they are playful and friendly, this boy will be happy. Don’t worry about him trying to take others’ food at meal-time. He has courteous manners: he won’t even go looking for food on kitchen counters. What he is looking for is a permanent, loving home. 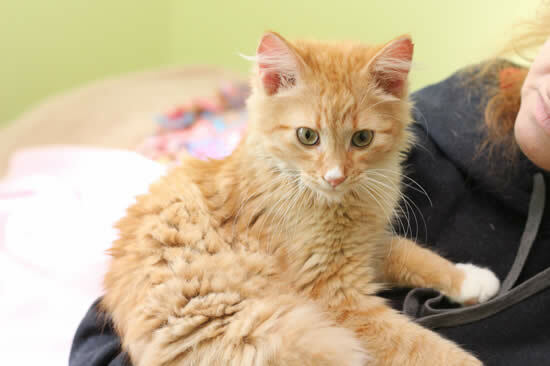 If you'd like to inquire about little Q-bert, click here.